With Hurricane Irene on the way to the Northeast and possibly making it through our area with 80-100mph winds on Saturday evening on into Sunday it’s important to make a few preparations just in case. The Northeast hasn’t been hit by a hurricane like this in many years and it’s not really something people are used to experiencing, certainly not me so I’ve been doing a lot of research on this. We already got an earthquake which happened on August 23rd. It was based in Washington DC but some of my friends said they felt a soft swaying in the Hudson Valley / Saugerties / Kingston area and earlier this summer nearby Massachusetts was hit by some powerful tornadoes. It probably doesn’t hurt to prepare for this or other possible natural disasters which may occur. They’re saying Irene is going to be a Category 1 and from the current storm track it’s not going to hit my area directly but stay more towards the coast. This just means high winds and a lot of rain but nothing extremely serious. If you’re in an area that’s going to get directly hit you’ll need to do a lot more to be prepared some of which are covered in the second part of the list. Make sure that any and all loose objects around the property are secured pretty good. I have a couple of carpentry projects on the porch that will need to be relocated out of the possible wind.I certainly don’t want my stuff blowing into the neighbors house! Add some more weight to the base of the BBQ grill. 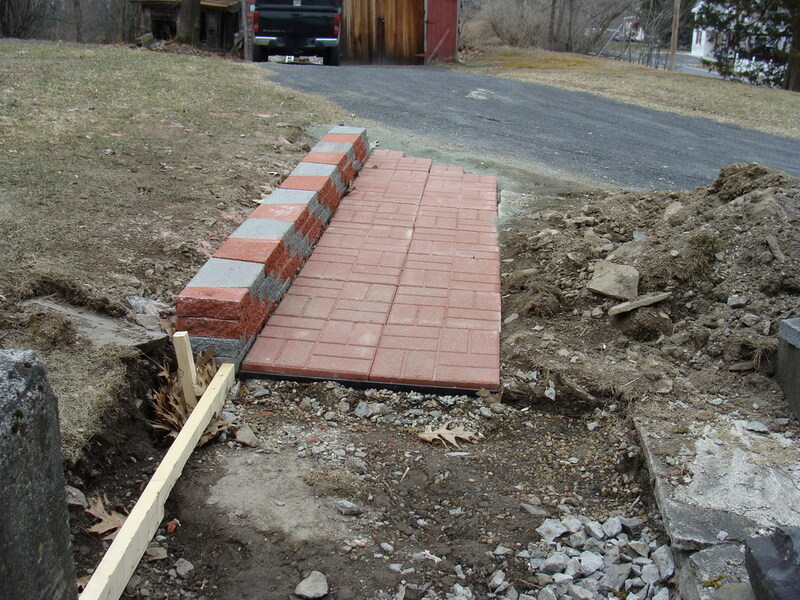 I already have a paver holding it down which has worked fine when we’ve had 60mph wind gusts, but I’m going to put a nice big cinder block on the base too. Either that or move it into the shed (probably a better bet) might need it later for cooking. Move the trash bins into the shed as well, those things will fly around like kites and I don’t want to have to go hunting for them after the storm. Check the gutters and make sure that they are clear of leaves, twigs, etc as much as possible. There’s supposed to be a lot of rain coming with this storm as well and I want to make sure as much of it as possible goes well away from the house. Check the sump pump and make sure it’s working good. Park the cars away from the barn and the trees. The last thing we need is flattened vehicles. Maybe it’s also a good time to trim some branches away from the house and look for any sickly trees on the property that I’d rather have fall where I want them. Charge up the portable jump start pack and hook up the power inverter just in case we need some power to charge phones, turn on the TV or run the sump pump during a power outage. Fortunately the inverter can run off the car batteries too so it’s kind of like a makeshift generator. Keep cell phones on the charger, so if the power goes out they’re fully charged. (Emergency services in most of the Hudson Valley area is 911, but if you’re in an area that’s not covered make sure to get the numbers for medical, local police, state police and fire emergency services in your area.) Ulster County Emergency Services, Greene County Emergency Services, Orange County Emergency Services, Rockland County Emergency Services are some, you can also check out NYALERT.org an emergency notification service by NY State or their iPhone app i-Alertz. Charge up the camcorder and camera and clear the memory cards so I can get some good hurricane footage. Unfortunately I didn’t have a chance to build a moat or a sniper tower around the house this summer, so if things go real bad and there’s a resulting zombie apocalypse I’m going to have to figure something else out. Keep clean clothes, important documents, identification and other documents ready to go if things get worse or an evacuation is called for. Report power outages and downed power lines or trees on roadways as soon as possible so emergency services can take care of them and protect people. Make note of the phone number for Central Hudson or your provider on a piece of paper as internet or directory service may not be available in an emergency situation. If you fill your bathtub with water, you can use it to fill the tank of your toilet to flush it if you don’t have water. If you really really clean out your bathtub and drain opening well you can use it to store water for drinking. Keep your pets indoors well before the storm, they can get scared and run off. If you have a generator, test it out and make sure it works and has fuel and oil. Don’t run a generator indoors or outside by open windows, the exhaust can poison and kill you. If your town is going to be directly impacted, then you need to take many more steps. I’m going to be keeping an eye on the storm track and if it starts tracking inland AND we get an evacuation order or similar I’ll do as much of the following as possible. If you expect heavy storm damage to your home, protect the valuables you can’t take with you as much as possible by sealing them in waterproof bags, storing them up out of flood areas (second floor, or high on counters). Lock your windows and doors, close your shades. Turn off your gas, water and electricity if possible. 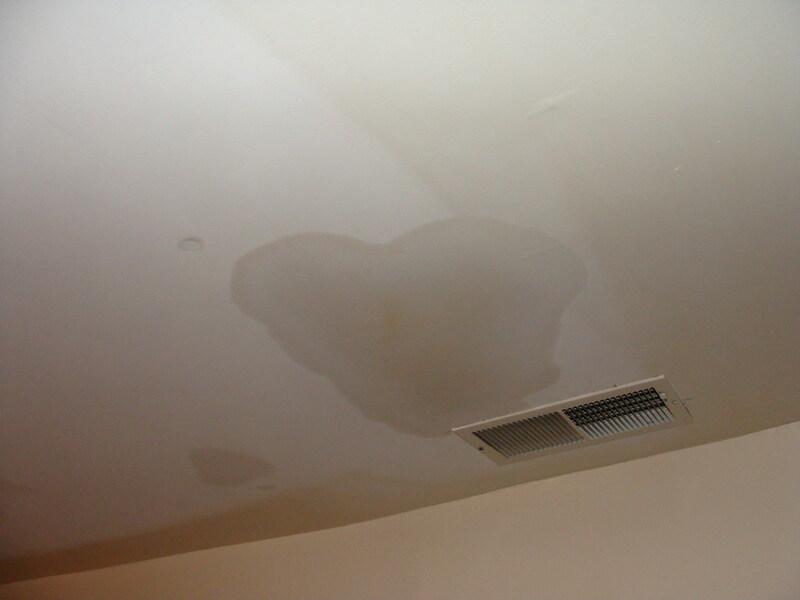 Gas and electricity in a damaged home increases the risk greatly to emergency workers and when you are returning home and broken water lines can cause damage which may be difficult to claim on insurance if it was the result of a hurricane. Get a few hundred dollars in cash or more to last you and your family at least a week. If power-lines and communications are going to be down, an ATM might not work. You know the old saying, “In God We Trust, all others pay cash”. Keep your clothes, important documents and identification waterproofed and packed by the door so when you leave it’s already there. If you’re going to be driving for a while, make sure you have checked your oil, transmission fluid, windshield washer fluid, tire pressure and other things as well as have already topped off your tank. Check with neighbors and friends to see if they need help evacuating or getting prepared. Plan in advance where to meet if you get separated from friends or family during evacuation. Don’t ride the storm out when everyone else in town has left, it’s a bad idea and it’s not worth playing the odds. If you decide you’re going to, write your SSN on your arm under your shirt so that your body can be more easily identified by the rescue workers in case you don’t survive. If your town has been heavily hit, don’t count on the city water being clean. You need to sterilize it. You can boil it for 1 minutes (though longer is better), use unscented bleach to do this (8 drops per gallon, or 16 if it’s cloudy) or you can buy water sterilization tablets from a outdoor outfitters store. Don’t ever use charcoal or propane grills inside of the home or garage for cooking or heat. This will, more than likely, kill you and your family with carbon monoxide poisoning. Charcoal is only good for cooking outside and if you waited till the last minute you’re going to have a hard time finding some anyways. Stay away from downed trees and power lines, don’t even get close to them. If a downed power line is active the electricity can be conducted through the ground or other objects such as trees and into your body, killing you. There’s no way to tell if it’s live, they don’t always spark and spit like you see in the movies. If you return to a damaged home, don’t stay inside of it until a structural engineer or similarly knowledgeable person has deemed it safe. It’s possible for damage to look less than it is and then have the building collapse at a later time. Double check yourself to make sure you’re making the right decisions, it’s easy to make a mistake when your in a rush, when in doubt, ask a trusted friend or neighbor. It sounds like a lot or maybe excessive and panicky, but it’s really not a big deal if you go step by step and react depending on the severity, it’s just some planning ahead (Some of the general stuff is maintenance I should have done over the summer anyways.) Hurricane Irene is still a few days out and it could change it’s direction but I’m not going to count on lucking out for this one. You can find out more about Hurricane Irene and watch this storm at The Weather Channel. There’s also NOAA’s updates: Public Advisory which they update regularly with the latest info. This is by no means the end-all be-all survival guide or a ‘do this and you’ll be ok’ list. It’s a bunch of good ideas that will help you out. Always listen to your state or local emergency management staff to know when you can stay, when you should go and everything else about a storm. That’s what they’re paid to do and should have up to the minute news that will help you decide the best options and decisions to make. Thanks for the advice Jon! Great blog and great pointers. I’m passing your URL around via Twitter. Thanks Maria and thanks for sharing the link. I just wanted to get the word out. It’s easy to complacent up in the protected north, but they say we’re in a warmer water temp cycle which makes it more likely for hurricanes to get up this way. Also make sure you have a battery powered radio with *plenty* of batteries – WCBS & WINS (880 & 1010am) will provide periodic (if not wall-to-wall) coverage. The cell networks may become prone to severe congestion and become unreliable. Thanks Nermel, With all the internet streaming and everything else available these days I don’t think battery powered radios are as prolific as they used to be so it might be worth picking one up. I don’t want to be running out to the car in the middle of a storm to get a radio update.